Thanks so much to the many wonderful photographers who have contributed their images to the Beacon Hill Blog photo pool on Flickr. There are some amazing photos there. 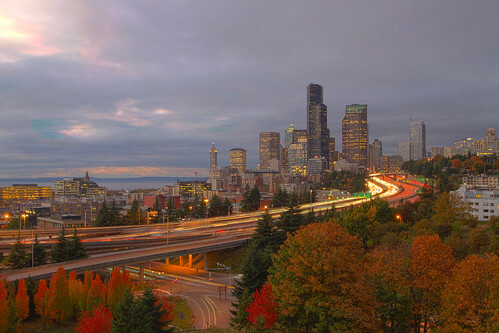 We've all seen this view many times, but rarely with such strong autumn colors. Photo by Rob Bakie in the Beacon Hill Blog photo pool. Jefferson Park. Photo by Robinette Struckel in the Beacon Hill Blog photo pool.